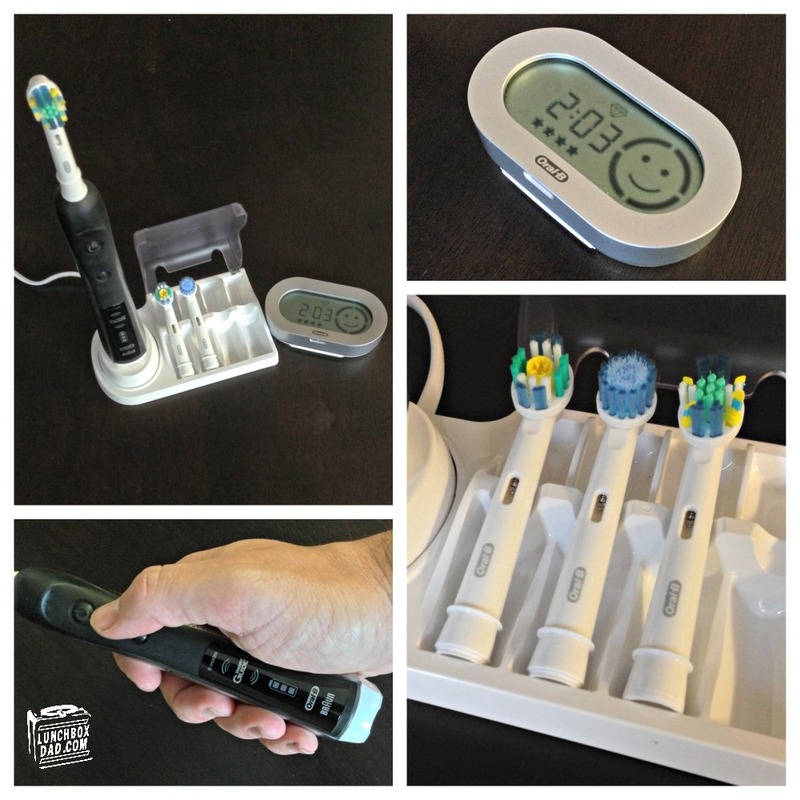 Lunchbox Dad: The Oral-B Black 7000 is All a Dad Could Want in a Toothbrush! 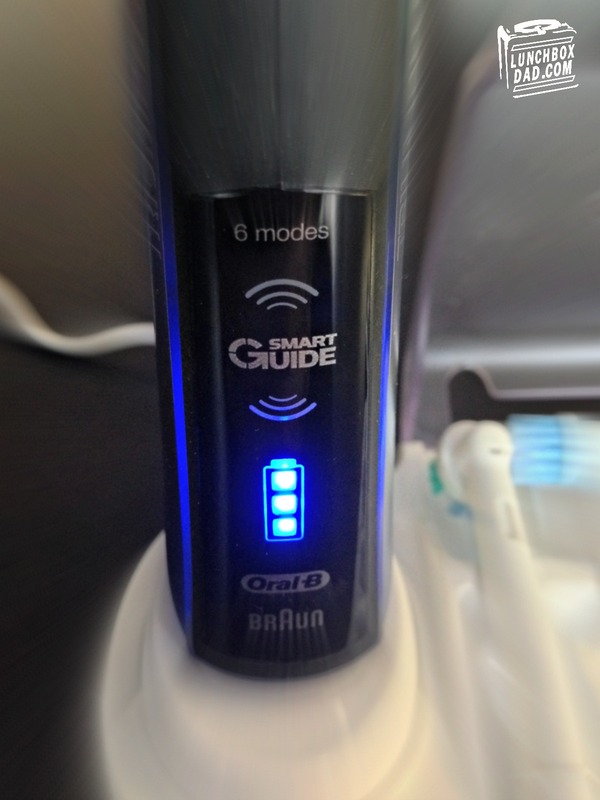 The Oral-B Black 7000 is All a Dad Could Want in a Toothbrush! Disclosure: This is a sponsored post, in conjunction with Oral-B and Life of Dad, LLC. I was provided with the Oral-B Black 7000, and received compensation for participating in this promotion. When I was in high school, I had a basketball accident. My legs got taken out from underneath me and I broke the fall with my face. At that moment, one of my worst fears came to be a reality. My front tooth completely broke off. As a high schooler I thought my life was over. I thought I would need to go into hiding or wear a mask the rest of high school. I will save you from the pictures but I have since learned that there are much worse things to be afraid of and I now have a bridge to cover up my teenage nightmare. However, it also taught me that your teeth should be taken care of. I have used an electric toothbrush for years. It's decent but I have always had the feeling there is something better out there. 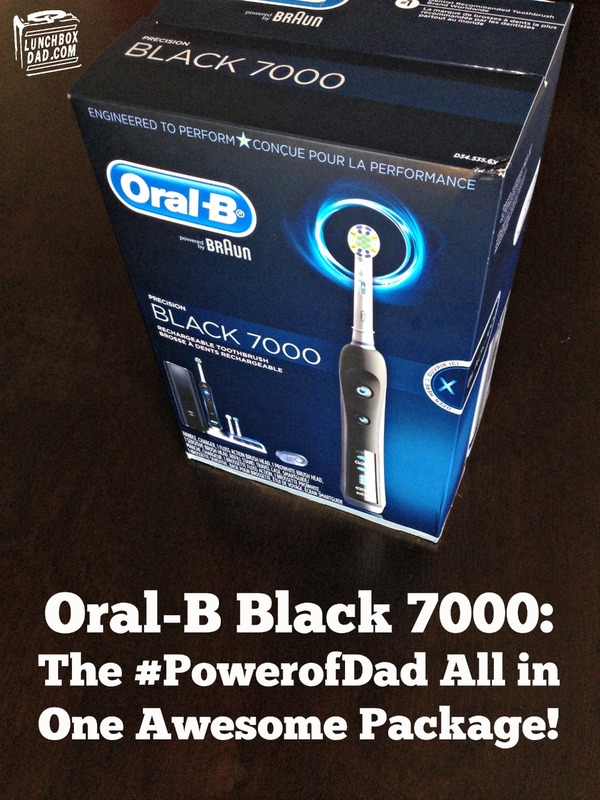 When I first heard about the #PowerofDad campaign from Oral-B, I was impressed. Not only did I find out about their incredible Black 7000 toothbrush, but I also saw that they are making sure that dads get recognized for what they do for and what they mean to their kids. I love when brands see dads not as the media stereotype "bumbling idiots," but as integral parts of the family. You can see Oral-B's video below (beware you will need tissues). I decided to make my own short Instagram video for #PowerofDad as well, you can see it HERE. After making the Instagram video, I was so excited to get my hands on an early Father's Day present...a new Oral-B Black 7000! When I opened it up, I was impressed by the combination of simplicity of use and power of features. With three brush heads, a handy travel case, and a SmartGuide wireless display it includes everything you could need or want. The wireless display even shows you how long to brush, what type of brushing to perform, and even if you are using too much pressure. I have never seen a more advanced toothbrush in my life. It is crazy how much this toothbrush does. The modes are crazy. Between Daily Clean, Deep Clean, Sensitive, Whitening, Massage, and even Tongue Cleaner, there is something for every mouth. To be honest, I didn't think much about the advertised stats at first. They just seemed meaningless me. That is until I actually tried out the Black 7000. Oh my gosh, I am not exaggerating, it was like a spa day for my mouth. I am still trying out the different features, but I can definitely tell you that the Precision Clean head is my favorite. You know how you can drive a mid level sedan forever and think, "Oh, it's fine and does what I need it to do, but then you ride in a friend's top of the line sports car and think, "I want one of these so bad." Or when you made the switch from standard definition TV to HD and realized there was no way you could ever go back. That's what the Oral-B Black did for me. I have now been spoiled and there is no way I can go back to an inferior toothbrush again. Maybe you are wondering why a guy who blogs a lot about food is so excited about this? Because if you love food or just love having a clean, cavity free mouth, then you need to take care of your teeth. It is an important habit for you and for your family. It is up to us as parents to teach our kids how to properly care for themselves and we do that by showing them through our actions. 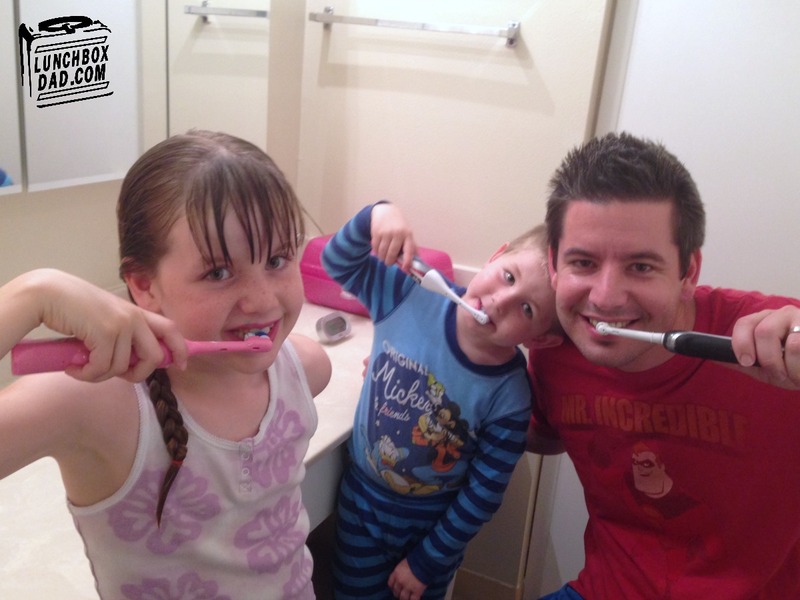 Teaching our kids about the important things in life, like brushing properly, is part of the #PowerofDad. Yes, this is more expensive than some toothbrushes, but I can tell you for sure that it is way less expensive than dental work. It is also much less painful. Would you rather suffer through a dentist appointment, or thoroughly enjoy brushing your teeth? I know what I am choosing from here on out. Now where's my Oral-B Black? It's time for bed. You can find out more at OralB.com and also get a $7 off coupon HERE.